The near-peer competition continues in the half-ton, full-size pickup class and the best-selling Ford F-150 is now faced with the recently redesigned Ram and GM models. But, with the recent refresh and upgrades, the model is still up-to-date and with almost uncountable possibilities, Ford’s best-selling vehicle offers the version for every taste and need. For the buyers with the diesel power and efficiency in mind, Ford added recently the Power Stroke V-6 turbodiesel and despite it isn’t the best in towing and efficiency in F-150’s range, the engine delivers a good balance of high torque and efficiency backed up with the competitive towing capability. 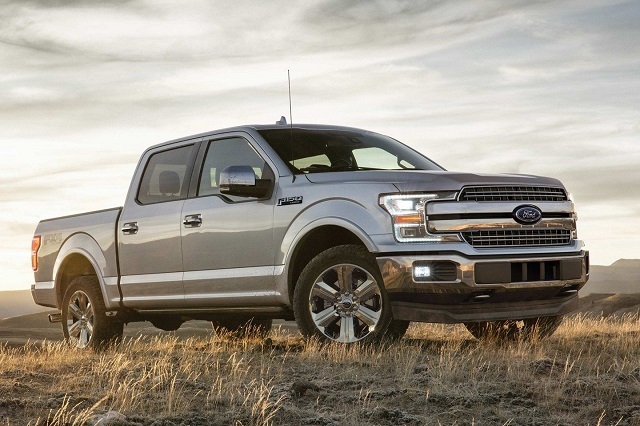 The diesel-powered F-150 debuted as the 2019 version and model will continue to the new model year with the limited number of changes. The truck will offer new color possibilities and make some changes to the equipment organization. The performance and capability will remain the same in the 2020 Ford F-150 Diesel. The big news for the 2020 model year will be the introduction of the hybrid powertrain but Ford still keeps details far from the public eye. Among the turbocharged and V-8 engines in Ford’s range, the Power Stoke V-6 turbodiesel isn’t actually the best in towing while providing high 30 mpg highway fuel effeminacy in some configurations. The 2020 Ford F-150 Diesel will return with the same performance and capability while it will be interesting to see what will be the fuel economy of the hybrid powertrain. The 3.0-liter Power Stroke V-6 provides high durability thanks to the compacted graphite iron block and forged-steel crankshaft. The peak 250 horsepower is available at 3, 250 rpm while the max torque of 440 lb-ft reaches at just 1, 750 rpm. The diesel-powered F-150 comes exclusively with the 10-speed automatic transmission. The F-150 Diesel limits the towing to 11, 400 lbs while allows up to 1, 940 lbs in the cargo bed. As for the fuel economy, the turbodiesel proves itself with the rear-wheel drive configuration where Ford claims 22 mpg city and 30 mpg highway. But, with the power on all wheels, it returns just 20 mpg city and 25 mpg highway where a 2.7-liter EcoBoost is even 1 mpg more efficient in the highway drive. The 2020 Ford F-150 Diesel version won’t change the way it looks as Ford refreshed the best-selling truck recently. The model will include just a few unique cues to make the distinction between the gas-powered versions possible. The truck will arrive with the signature two-bar style grille and C-shaped headlights. The grille will change the tone depending on the trim version and the same will be with the color of bumpers and trim inserts. There will also be a variety of wheel options and sizes and buyers will again pick the right cab style and bed style for their needs. Interior of the truck will keep the current form and Ford will equip the truck with the latest tech and safety features. The model will be available with the multi-contour seats and high luxury equipment. The latest Sync infotainment platform will be installed and the truck will also offer premium sound system, navigation, leather upholstery, heated and ventilated seats, HD radio, etc. The safety list will also include the systems available in the passenger cars. The truck will prevent collisions and keep the eye on the traffic thanks to the adaptive cruise control, automatic emergency braking, blind-spot monitoring, active lane control, etc. The 2020 Ford F-150 Diesel will go sale in last quarter of 2019. 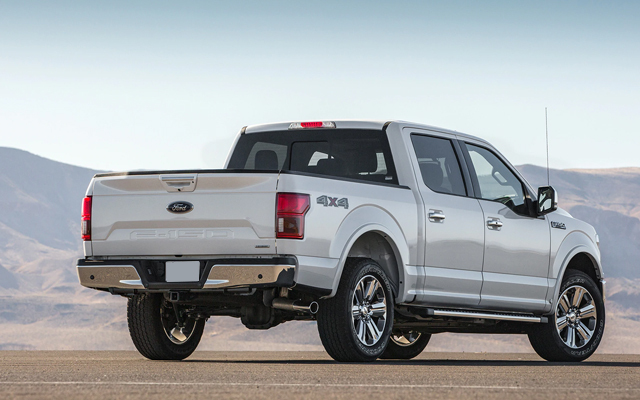 The diesel-powered F-150 should cost from around $42, 000.